Not DETERRED by Homemade DETERGENT! I will still need to pre-treat our dress shirt collars, which is fine because I have always done that. But, what sold me was the fact that I have children who get ALL KINDS OF FOOLISHNESS on their clothes, and I do mean FOOLISHNESS! The detergent got out most, if not all of the stains that I saw. Although, even when I used regular GAIN detergent purchased from the store, I would still need to pre-treat the stains I find on some of the kids clothes. Also, when removing clothes from the dryer, there were NO SMELLS of any kind that I could find. So, for those who don’t like perfumes or chemical smells, it should be fine for you. But, if you are a SMELLS person like me, who when they pick up a shirt and sniff it, like to have the images of the sitting under palm trees, in Hawaii, while watching dolphins swim by, and the breeze waft pass your nose of fresh ocean air, with a slight fragrance of ……Sorry, back to what I was saying (LOL). You can always either add a few drops of really good essential oils to your mixture, or just use smell good dryer sheets. Step 1: Grate Fels-Naptha bar (I used my Ninja food blender). I cut the bar up into small chunks to make it easier to process in the blender. In a saucepan or plague pot, heat 4 cups of water and the graded soap till it dissolves. Stir it till is all melted. Step 2: Fill your five-gallon bucket halfway with hot water. Mix in 1 cup of washing soda, 1/2 cup Borax and the melted Fels bar mixture. stir it around. 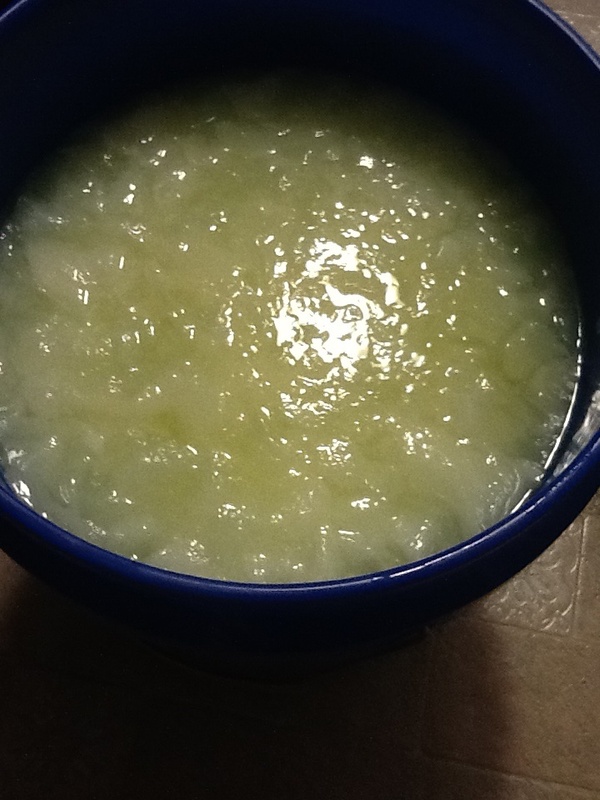 Fill to the top of five gallon pail with more hot water, then let it sit over night to gel. Step 4: Wash your clothes! For a top loader, use 5/8 cup. For front loader, use 1/4 cup. This works with all water temperatures. I used slightly more then the suggested amount just because I have some pretty good kids who work hard at getting clothed dirty, lol.